We thought it would be helpful to share with you the resources we use in our businesses and those that we find useful. Using the right tools can help you become a more successful entrepreneur. The list below is far from complete, but we constantly work on it to improve it for you. Enjoy! Disclosure: Please note that some of the links on Success Harbor are affiliate links. That means that, if you end up making a purchase after clicking one of those links, there is a good chance that we are paid a commission. These affiliate links help support us. We offer website design and development services. We can help you build and design your blog of website. We can help you develop your marketing strategy from content marketing to pay-per-click advertising to social media marketing. Contact us now to see how we can help your business. 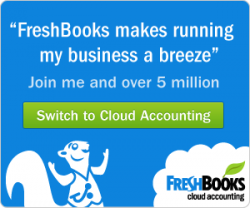 We have been using Freshbooks in our business for several years. Before Freshbooks we have used an old school clunky accounting system and everything was more complicated than it should have been. Since we have been using Freshbooks invoicing our clients have been so much easier. We also use Freshbooks to send estimates. We have been using Gusto (formerly zenpayroll) in our business for awhile. Before Gusto we have used one of those huge old school payroll companies. Their software was clunky and they charged us a lot more money. 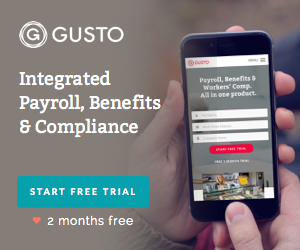 Gusto feels like it was built to be simple and that is one of my favorite features of their payroll platform. Since we have been using Gusto for payroll we have saved so much time on processing payroll. If you haven’t lost a file yet, you will. When you do, you’ll be glad you have Carbonite. It backs up all your important files and photos automatically, keeping them safe from accidental deletions, hardware failures and malicious attacks. Email marketing is good for your business. And with a tool as powerful and easy to use as Constant Contact, you don’t need to be a marketing expert to see results. Banking, browsing, shopping — AVG Internet Security offers extra protection for those who live online. Shield yourself against hacker attacks, scan for malware and performance issues, and avoid fake websites. I am sure that social media marketing is part of your game plan. Hootsuite is a great resource to make managing your social media account easy. RingCentral is an award-winning global provider of cloud unified communications and collaboration solutions that is more flexible and cost-effective than legacy on-premise systems. 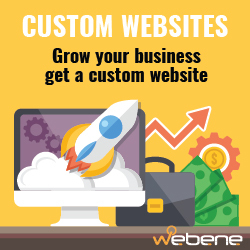 Your website is often the first impression people get about your business. Make sure that you use the right tools to create a website that creates the best possible impression about your business. I have been using SiteGround website hosting for a while, and I have been very happy with them. I like the performance of my website. It is fast and runs my WordPress site great on it. I also like their support. I have tried both phone and email support and I had very positive experiences. To help you decide on the right web host for your business checkout our “10 Minute Guide To Finding The Best Hosting Company For Your Business” post. Do you want to sell online? Shopify is a great ecommerce platform. 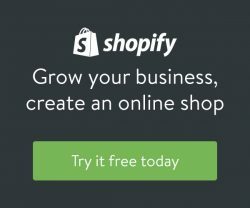 Shopify simplifies the process of opening an online store. You don’t have to be a coder to set up your own online store. Check them out and see how it goes. I have been using Rackspace for hosting for years. I really like their support and reliability. For years, I have had a cloud site hosting account with Rackspace. It is not a bargain website host, but a very reliable one. Cloud hosting offers a level of scalability that traditional hosting can’t. Cloud hosting is on-demand instead of paying for a set amount of space on a single server or shared server. For business, I recommend a .com domain instead of any other domain extension. Also make sure that the domain name you buy is memorable, easy to spell, excludes hyphens or numbers, and is currently not trademarked by another business. Research it to make sure it is not already trademarked. I love WordPress as a website platform. 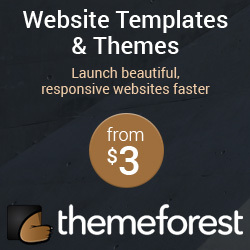 I have been using Themeforest for years to buy WordPress themes and plugins. There are many WordPress themes that you can buy. How many of the themes were sold so far. You don’t want to be among the first people to buy a new theme. What kinds of reviews does the theme have? You can learn a lot from reading customer reviews. For my podcasts and interviews I have been using the Audio-Technica ATR2100-USB microphone. 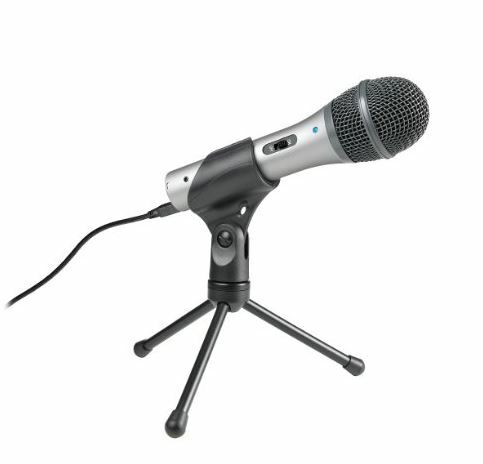 What I like about this microphone is that is is reasonably priced and very good quality.